The Three Rs: Rants, Raves and (Occasional) Reflections: "You Can't Go Home Again...."
I've mentioned in a previous post that I've been working on a memoir dealing with a dark period in my life that most of you don't know about. Shortly after my father's death in January 1991, I had an emotional meltdown. For reasons that will be explained in the memoir, I felt responsible for his death. Guilt can wreak havoc with creativity, so I found myself unable to write for a long time. Mom, Collin and I moved six times in three years. 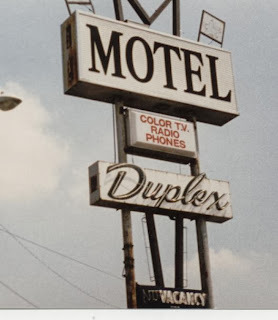 When the royalties for my existing novels began to diminish, we were evicted from our home and moved into a motel room. We reluctantly put [Mom's dog] Schatzi in a boarding kennel and checked into a small, independent motel along the old Route 66, taking a chance on taking [my bird] Sam with us. We didn't know if we'd get kicked out for having him there or not, but at that point, I didn't know what else to do. I wasn't going to abandon him—I'd already failed to save [my potbellied pig] Iggy. Sam had already been traumatized. Because [my cousin Sharon's daughter] Laura had a cat—who had already made one attempt at having Sam for lunch—I couldn't leave him with Sharon. We'd cover his cage to keep him quiet whenever we had to be away from the room—until we found him uncovered, courtesy of the owner, who, it turned out, had several birds of her own and adored them. That, at least, was a relief. He was welcome at the motel. We stayed there for a month, trying to figure out how we were going to ever get another place to call home. The four of us, in that one room, were each dealing with the emotional trauma in our own way. Collin and I needed noise—neither of us could stand silence—so we left the TV on all night. I still can't sleep without some kind of noise in the room—these days, I use a radio. Oddly enough, we needed that closeness to each other, too. We were each others' lifelines. Mom became increasingly depressed and experienced what our family doctor later told me were TIAs—the prelude to a major stroke. A combination of stress and being without her meds during the eviction had set it in motion. It was just a matter of time at that point. Then, the money ran out. We were faced with having to give up the room, but having nowhere else to go. Mom sent Collin out to get our dinner one evening so she and I could talk. We would be leaving the motel by eleven the next morning. We agreed that we would ask Sharon to let Collin and Sam go back to her place, and Mom and I would be living on the street. We knew if we ended up in a shelter, Collin wouldn't be allowed to stay with us, and we wouldn't be able to take Sam at all. That night, I prayed. I prayed for a miracle, because I knew that's what it was going to take. Finally, exhausted, I fell asleep. The phone ringing early the next morning woke me. It was [my agent] Maria's assistant. I listened to her speak, but couldn't believe what I was hearing. She had called to tell me a FedEx envelope was on its way to me and would arrive by 10:30—an advance from one of my foreign publishers! Seven thousand dollars—more than enough to cover our room, necessities, and rent and deposit for an apartment, if we could find a landlord willing to rent to us after what we'd been through. We went to the Jack in the Box down the street for breakfast. Had it not been for that unexpected windfall, we would not have even been able to do that. There, we found a copy of the Thrifty Nickel. Mom decided to check the ads while she ate—and found one for an apartment for rent. She called to make an appointment to see it that afternoon. We went to the bank to deposit my advance check. I withdrew some cash to pay for our room and food—or that was the plan, anyway. I don't know why I withdrew such a large amount. Just a feeling really, that we would need it. The apartment was perfect for our needs. It was in a good neighborhood, near our doctor's office, drugstore, grocery store, library—everything we needed. I filled out the rental application at the kitchen counter. The landlord said he'd had other applicants and would let us know his decision in a few days. I thought of the cash in my bag. Again, just a feeling prompted my next move. "I'll give you first and last month's rent, cash, right now," I told him. He thought about it for a moment. "Okay," he said. We signed the lease on the spot. "We'll have to stop at the bank on the way back to the motel," I told Mom. "We're going to need more cash." Bob, our new landlord, spoke up. "I can drop you there." We didn't realize it that day, but God had not only saved us from sleeping on the streets and led us to a new home, He had also given us a landlord who was one of the kindest, most decent human beings we'd ever meet. After the hell we'd been through, He'd led us to peace and a deep sense of security. In the months to come, we were going to need it more than ever. It takes a lot of courage to say these things. You never know when you open yourself up in this manner, how people will respond. In our lowest times, I saw the best and the worst in human beings. Ah... Norma. I'm definitely downloading this one. Hard times are the worst. I've experienced extreme hunger at one time in my life so my daughters would have enough to eat. Its the worst pain in the pit of your stomach. Thanks, Shelly. I think that only someone who's been there themselves really understands how devastating it is. I used to think that all homeless people were drug addicts and/or mentally ill. That's not true at all. Many homeless families end up with nowhere to live simply because they don't earn enough to pay the rent. A very compelling story. I am eager to read more. Thanks, Lynn--the writing process is moving surprisingly fast, so it won't be long. I debated whether to publish it as a book or serialize it here on my blog. The objective here isn't to make money, but to hopefully make a difference in some small way. Norma, what honest, compelling writing! I hope this memoir has been a catharsis for you because it sounds like life has taken you to the depths. Thanks, Cheryl. It was a long journey. Once I lost the ability to write, there was that stress to just keep a roof over our heads. 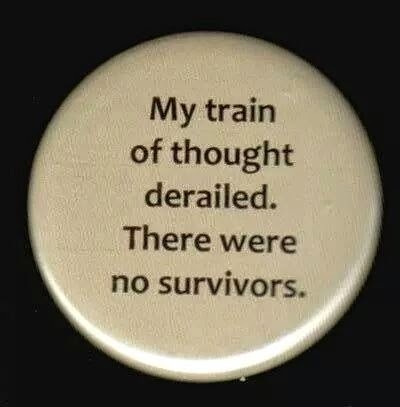 I had medical issues that were misdiagnosed for literally years. Because of the number of years I'd been out of the workforce and later because of my age, no one would hire me, so it was left to Collin to be the breadwinner--and that wasn't enough. The turning point came when two remarkable women who didn't know us and at that time didn't even know each other, teamed up to get us into an apartment. I think miracles do still happen Norma and thank heavens for them. Beautifully written excerpt from what I'm sure will be a best seller.. Thanks, Grace--I agree, miracles happen every day! Recently, one of the motels in which we stayed in the course of our ordeal was torn down. Collin had hoped to get something started on Kickstarter to buy it and turn it into a transitional residence for homeless families, but he couldn't get things started fast enough. I still say everything happens for a reason Norma..maybe there is another project for Collin in the future that will work out better. First, big applause for not only surviving a trip to hell and back but also for how your integrity made you stronger. I personally feel that money should be managed properly but that this management should include provisions for those in life who have to cope with a tough hand of cards. There's a perception Out There that those who need help are losers beyond saving or who work the system. While an element of that can't be avoided in any society, I think the overwhelming majority are decent people struggling to play life's cards. It warms my heart how you survived so much, Norma. Even more, I admire you greatly for writing about what you went through. It's voices like yours that keep the real American heart beating. I look forward to your book!!! Another thing I've discovered in the years since all this took place is that even the most well-meaning people never get past the stigma of homelessness. It's hard to come forward and talk about it when some people, knowing, will always see you as "the homeless person." I remember once, at church, our pastor's wife was showing off copies of my past books. She said something like, "She really did write these." I know she didn't intend it the way it sounded, but I was offended by the comment, as if no one was going to believe The Former Homeless Person could have been a bestselling author. I guess if I'd told them my IQ, they wouldn't have believed that, either? Beautiful, touching story that will bring tears to your reader's eyes. Now where did I put my Kleenex box? So agree with William ! I remember my counselor telling me to write my feeling down, just get those feelings out and then send or burn it. I chose the burn part. But I like that you are writing it all out in a book. I have tears in my eyes as I read this for the bad times along with the starting of the good times. I know some of what you went through from some of your posts. I was not on the streets like you were or anything close to what you went through but I was tossed aside trying to tamp down the panic, with three children to take care of plus one dog ... So I do understand the feelings of complete abandonment. As you write this remember I am/always keeping you and your family in my heart. I must get some type of e-reader... But I don't know what kind ? Thanks, Gayle--I knew you'd been through some really rough times yourself, so I know you do understand. We were fortunate to have had a lot of people who were there for us along the way. I remember one man from a church I'd called telling me, "I'd rather help five people who doesn't need help than miss one who does." I discovered that motels in this area are full of homeless families. 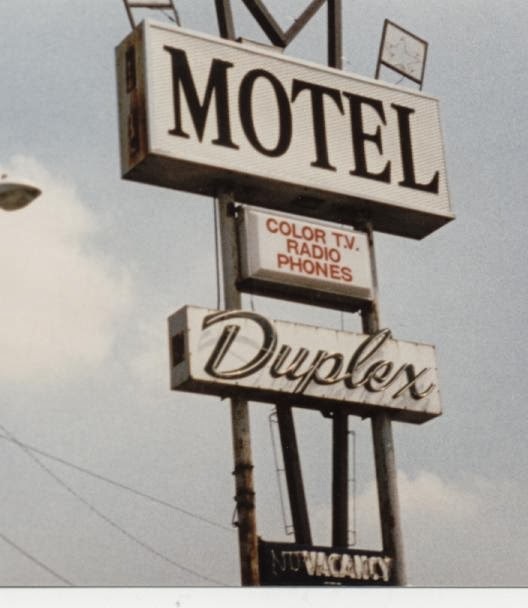 There was a story in the newspaper about a man who'd made an arrangement with one such motel--he got a special rate for families he was covering. It was wonderful to see someone going to so much effort to help those in need. And then there was the flip side of the coin. I once called a church and was told, "We don't help transients." My response, "I guess Joseph and Mary would have been out of luck with you, huh?" Wow talk about ask and you shall receive. That's outstanding, Norma. The power of prayer. never underestimate it. I've learned not to. So have I, PK. We had the kind of experiences that can only be attributed to Divine Intervention.